Given the above context, the very vision of the brains behind Tesla Motors seems to resonate with it. According to the website Tech Crunch, the company’s real founders, a group of two Silicon Valley engineers; Martin Eberhard and Marc Tarpenning, wanted to show the world the overall superior efficacy of electric cars in all respects, as better and more efficient substitutes to both gasoline-powered cars and those vehicles which still run on traditional fuels, as confirmed by the company’s official website. Here, it is important to clarify that contrary to popular belief, Tesla was not founded by its present CEO and Co-Founder of PayPal, Elon Musk, as reported by Business Insider. In fact, Musk entered the picture when he bailed out the new-born startup by injecting $7.5 million as part of Series A financing in February 2004, in lieu of being offered the Chairmanship of the Board, thereby, also making him one of the co-founders of the company. According to Forbes, the basic premise or philosophy driving the company’s birth and its future growth and development, as pointed by Musk himself, is the democratization of the car market, so as to level the playing field for all the stakeholders, and make the automotive industry “of the users, for the users and by the users.” The organization endeavors to do this by helping the automotive industry challenge and get rid of the very notion of “compromise,” a tag often attached to the cars, and deeply embedded in the users’ minds. Tesla Motors plans to accomplish this in two ways, as reported both by the company’s website, and Musk on Forbes. First, by axing the pricing factor that thwarts the affordability of a car for an average user, and eventually, ends up limiting its purchase or gaining access to it. Second, by busting the myth that it is practically not possible to build electrically powered vehicles that have the same instant torque, incredible power, as their gasoline-powered versions, while at the same time being a lot kinder towards the environment by following a zero emission policy. Moreover, even if it is, then it does not come without settling for a trade-off or a “compromise,” of remaining contented with those performance features, that are not appealing enough to make the electric variant stand at par with other high performance cars running on gasoline or other combustible liquid fuels. As recently shared on LinkedIn, Musk admitted harboring plans way back in 2006 to achieve this by having a marketing strategy in place for Tesla, wherein, “it would enter at the high-end of the market, where customers are willing to a pay premium and then drive down market as fast as possible to higher unit volume and lower prices with each successive model.” To put it more lucidly, the auto giant wanted to start by making a sports car, and thereafter invest the revenues in R&D to churn out more affordable product iterations, with each next version being more energy positive in the sense that not only would it get rid of the emission problem but also deploy alternate electric power generation options, most likely centered around the clean solar energy and away from the current mine-and-burn hydrocarbon ones. 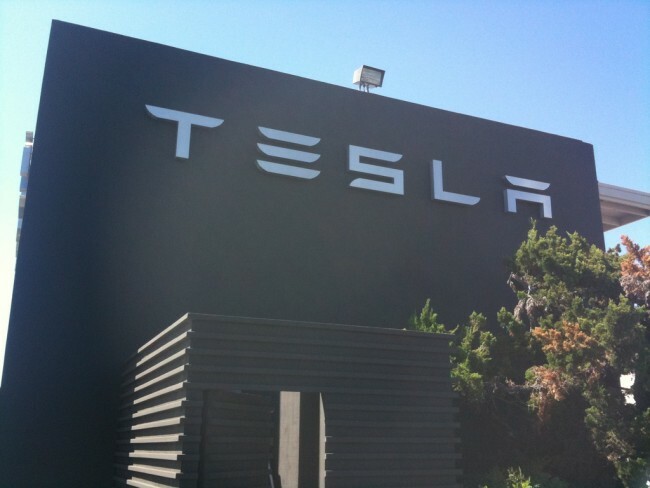 This, according to Forbes, helped the organization ultimately become a trendsetter in this direction, by inspiring a movement towards such unique product development approaches, thereby, raising the industry performance benchmarks, by using the enhanced brand Tesla, as a role model. A living example of this is the car brand evangelist’s previous two products; Tesla Roadster and Tesla Model S, as well as the upcoming Tesla Model 3, each of which have proved the commercial viability of its ambitious plans, while successfully addressing concerns of both the customers and authorities about their economical and ecological feasibility. For instance, the company’s first all-electric sports car, the $89k priced Tesla Roadster, launched in 2008, as reported on the company’s blog and website, was built around an AC induction motor that was patented in 1888 by the inventor Nikola Tesla, who inspired the company’s name. The final product used a non-toxic, non hazardous and completely landfill safe lithium-ion battery that could accelerate the machine up from 0 to 60 mph within 3.7 seconds, enabling it to run 245 miles on a single charge. This not only gave a solid head to head performance-based competition to the gasoline sports cars Porsche or Ferrari, but also conserved twice the energy used by a Prius. Even the vehicle efficiency metrics as denoted by the amount of distance traveled with a given amount of fuel consumption and the environmental impact of the same was much favorable as compared to the Honda and the Prius. While the Roadster’s competitors could only clock-in a mileage figure of <1 km/MJ, while leaving behind increased CO2 emissions in the range of 35-45 g/km, as reported on the company’s blog, Tesla’s baby achieved a vehicular efficiency of 1.14 km/MJ, leaving behind a CO2 footprint of only 12.6 g/km. The verdict is out, suggesting that while the Roadster is now burning wheels in more than 30 countries, its 2012 successor and the world’s first premium electric sedan, the Tesla Model S, bearing a price tag of roughly $45k, besides inching towards fulfilling Musk’s promise of making the auto market more democratized and free of compromise, has also earned a 5-star rating from the U.S. National Highway Traffic Safety Administration, apart from being named 2013 Car of the Year by Motor Trends, as claimed by Tesla’s website.